Citing the need to review its backward integration strategy, operators in the real sector have stated that lack of good road infrastructure and high cost of vehicles continue to take a toll on the economy, especially in the logistics sector. Specifically, the Manufacturers Association of Nigeria (MAN), and the Lagos Chamber of commerce and Industry (LCCI), urged the government to look into the Nigeria Industrial Revolution Plan (NIRP), with emphasis on review of its backward integration policies to encourage local production and bridge infrastructural gaps. According to MAN, there is a need to reduce the cost of moving goods from ports to the factories. Indeed, budgeted capital allocation to the development of transportation infrastructure stands at N194.24 billion, indicating 26.2% reduction from N263.10 billion allocation in 2018. MAN added that the N80.22 billion allocation for counterpart funding for railway projects (Lagos-Kano; Calabar-Lagos; Ajaokuta-Itakpe-Aladja; Port Harcourt-Maiduguri, etc), and the N27.12 billion allocation for rehabilitation of rail tracts and general maintenance/running of the rails system are critical. “Global evidence has shown that no country in the world had ever fully industrialized without a robust railway system. No mention however is made of the need to dredge the various ports outside Lagos State to decongest Tin Can and Wharf ports and reduce the cost of moving goods from ports to the factories”, MAN noted. On his part, the Director-General of the LCCI, Muda Yusuf, in a position paper, noted that the cost of vehicles had risen beyond the reach of most citizens and corporate bodies, as the import substitution strategy that thrives in the context of high domestic value addition failed to address the issues. Indeed, the automobile sector was hit by over 100 percent currency depreciation over the last five years and an import levy of 50% on new cars and 25% on used vehicles and commercial vehicles was imposed on operators to reduce importation. This is in addition to the import duty of 20% on new cars and 10% on used vehicles and commercial vehicles. The LCCI added that the high cost of vehicles has taken a toll on the economy, from a logistics point of view, as all aspects of the nation’s economic and social lives had been negatively impacted by the situation. 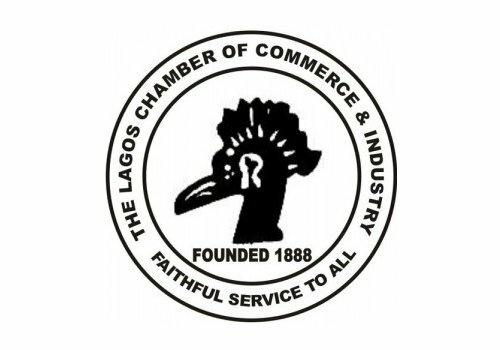 This according to the LCCI is because over 90% of the country’s freight and human movements are done by road, which implies heavy dependence on cars, commercial buses and trucks.“The auto policy in its present form is most inappropriate for an economy that is heavily dependent on road transportation. “Other implications of the Auto Policy for the economy include high transportation cost resulting from the prohibitive cost of vehicles largely because of the high import tariff and levy; increase in smuggling resulting from the high import duty and levy as well as the huge duty differential with our neighbouring countries; huge loss of customs revenue as vehicle imports from official channels drop and smuggling increases”, Yusuf added. The LCCI however recommended that government should give further tax concessions and waivers to the assembly plants in the spirit of the auto policy, adding that semi-knocked down (SKD) should all attract 5% duty to incentivize domestic vehicle assembly. “Other incentives for assembly plants and tyre industries for acquisition of machineries and equipment should be retained as contained in the automotive policy. Similar incentives should be extended to the local production of vehicle spare parts. “Patronage of locally assembled vehicles by the government and its agencies should be more rigorously encouraged and enforced. Vehicle purchase finance facility at single digit should be put in place to boost demand for automobiles”, the LCCI advocated.